Okawix for Android, iPhone and iPad: Beta Testers no more needed! A few weeks ago we wrote an article explaining that we needed beta testers for the beta version for Android, iPhone and iPad of our offline Wikipedia browser, Okawix. Many happy owners of Android, iPad or iPhone devices offered to help, and we are very grateful to them. Thank you very much! Anyway… We are sorry for all those who were happy to help, thanks again. I hope there will be other opportunities. As for the beta tests, we won”t make any public beta test, we”re just going to test it by ourselves. Still the release of the Android version should come pretty soon. I hope you”ll try it, and that you”ll like it. As for the iPad and iPhone version, you”ll have to wait a bit longer. 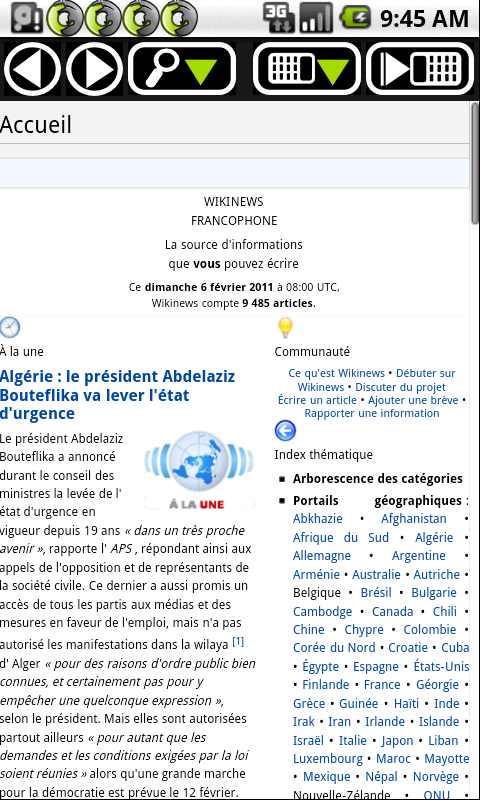 a program that archives the external web pages of the Wikipedia articles (that is, the web pages outside Wikipedia but linked from a Wikipedia article), so that their content remains available and that those external links don’t get broken; this program is used automatically, in particular, for all external links of the French speaking Wikipedia. I am not an apple developer, but was under the impression that there was a way to distribute in an enterprise scenario or beta scenario without using the Apple Store as a delivery mechanism. Hope you find this useful, and helps overcome the challenge in getting out an IOS based solution. Hi Frank, thanks for the tip, we’re going to have a look at the link. Cheers 🙂 Matthieu.